At Bmore Accountable we want you to understand that you are writing the story of your business and we are just retelling it. Everyone loves a happy ending. The decisions you make will determine how your story ends. Every decision and choice is important and should be accounted for. In the end whether or not you accounted for the decision or not, you are held accountable. We want to help you keep an account. We are committed to providing Quality tax and accounting services to our clients and their businesses. We will continue to make strides to and beyond Excellence. Through the use of Creativity, we will help our clients accept Accountability for their success. Bmore Accountable is a new and growing accounting firm that can particularly relate to individuals and small businesses. At the end of the day you, the owner are the one held accountable for your business’ success. Do you know how you did it? Can you do it again next year? Can you do it better? Allow us to help you “be more” accountable. Your continuing success is our reward. Accountability: We believe we are personally responsible for our clients’ business succeeding and we hold ourselves accountable for anything less. Devin has over fourteen (14) years of diversified public accounting experience with tax, financial statement preparation, and bookkeeping. 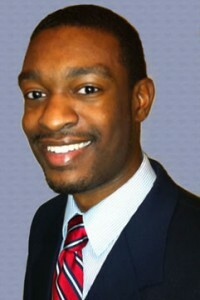 He received a Bachelors of Science in Accounting from Morgan State University. Through his experience and education, he has learned the importance of accountability and developed a passion for helping others achieve success. Feel free to visit Devin’s LinkedIn profile for more information.